It’s more than public space. It’s an expression of who you are as a community. You want the look of your community to match the vigor, pride, and vibrancy of its people, its history and its future. That’s why our highly interactive process gives a voice to everyone who has a stake in the project. With expert planning, intelligent budgeting and creative design, together we’ll craft a meaningful place people love before the ground is even broken. 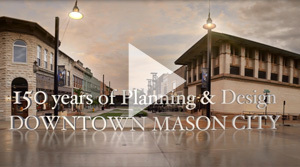 An RDG produced video that celebrates Mason City's achievements for creating a greater sense of place, and momentum for becoming an even better city and community of choice. 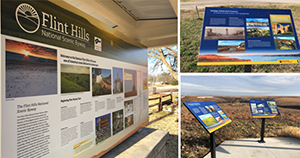 How the Kansas Byways Interpretive Signage is designed to share stories of the state's unique collection of landscpaes and cultures. 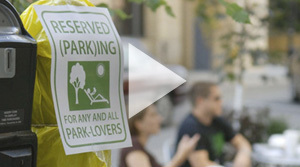 RDG made a video documenting the four temporary, urban parks created within metered parking spaces by RDG's Landscape Architecture group. These four parks were created to educate the community on the diversity of park systems and to promote the need for additional parks in the community.